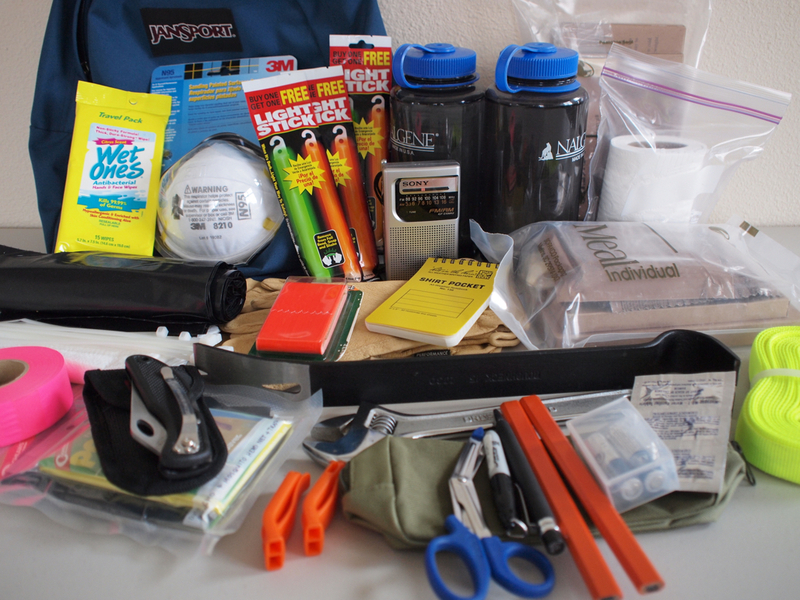 With all of the recent talk about massive earthquakes being long overdue on the West Coast, this seemed like a good time to share some disaster preparedness ideas. The example kit you see here was put together with items located around the house — there is no need to break the bank, just use what you already have, and add items here and there as the budget allows. 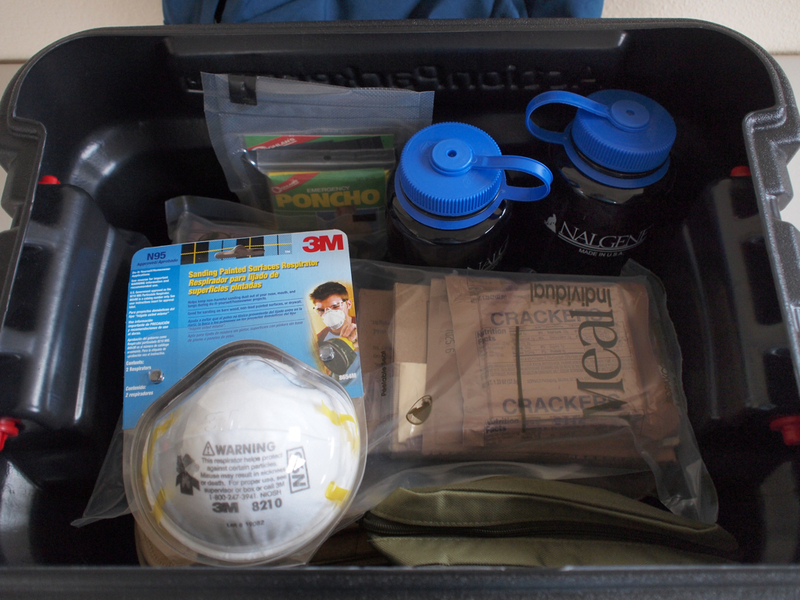 Also, by consolidating your gear into a container (or two), this makes it much easier to grab-and-go in a true disaster or emergency situation. For example, chances are pretty high that your home or apartment will be damaged during a big quake. You and your family will not have the luxury of time to rummage through drawers, cabinets, and closets to gather everything you need. And, if you spend any time outdoors camping, hiking, climbing, fishing, hunting, etc. — chances are you already have many of the necessary items stored with your existing gear. Another advantage to assembling your own kit, versus buying one pre-made, is that you can personally select each item and become familiar with it. You will know how each item works before any disaster or emergency, allowing you to keep your attention on the unfolding situation. A few suggestions: Don’t forget about your pets (see blog article here), backup/copy (and encrypt) any important files or documents, keep spares of any needed prescription and OTC medication(s) on hand, and communicate your disaster plan to your family & friends. Also, having a pre-arranged meeting place and an out-of-area contact can significantly help in an emergency. As far as specific gear lists go, many websites such as the Department of Homeland Security and the Red Cross have free checklists available. These make for a good starting point or ongoing reference as you get your kit put together, and perform other preparation tasks. Another excellent resource can be your local city, county, or state emergency management agency. Often they will have more specific information for your area and offer public workshops, seminars, and training.